2016 Olympic bronze medalist and hometown hero Nico Hernandez has fully recovered from an injury that postponed his December 2nd fight to Saturdeay, February 10, versus Hungarian champion Jozsef “Little Red” Ajtai in the the eight-round main event for the vacant International Boxing Association (IBA) Americas flyweight title, headlining the “KO Night Boxing: Gold & Glory” card, at Hartman Arena in Park City, Kansas. “KO Night Boxing: Gold & Glory” is a presentation of KO Night Boxing LLC., in association with Hartman Arena, and sponsored in part by Park City (KS), Twister City Harley-Davidson and Metro PCS. 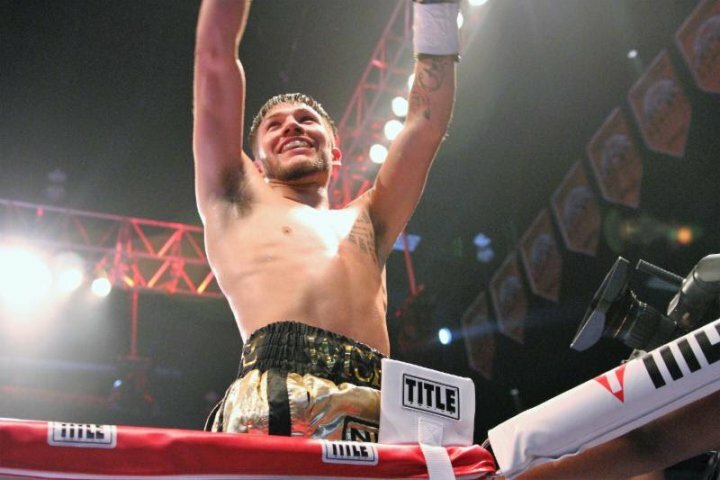 The 22-year-old Hernandez (3-0, 2 KOs), fighting out of Wichita, suffered an undisclosed injury that forced him to withdraw from the Dec. 2nd fight. Neither Hernandez nor his promoter, John Andersen (KO Night Boxing, LLC), have revealed any details about Nico’s injury to avoid giving his opponent any possible advantage to target in the ring. “I feel good, ready to fight,” Hernandez commented. “We wanted to make sure that I was injury free and I am 100-percent. I’m going to do whatever is needed to win this fight. Fighting for my first title means a lot to me. I didn’t think it would happen this fast. I want everybody to see that I can be competitive with the best in my division. A win February 10th will get me there a lot closer. Ajtai (19-9, 12 KOs), who is one year and six days younger than Hernandez, has already fought in five title fights. He also went the full 10-round distance, albeit in a loss by decision in 2016, to two-time Olympic gold medalist Shiming Zou, the former World Boxing Organization (WBO) flyweight world champion. Fighting in his opponent’s hometown isn’t a problem for Ajtai, who has vast road experience having fought as a pro in the USA, United Kingdom, Spain, Germany, Ukraine and Slovakia. In the six-round co-featured event, Minneapolis welterweight Javonte Starks (13-2, 7 KOs), a former Future Stars National Champion as an amateur, takes on veteran Mexican fighter Cesar Soriano (28-36-1, 17 KOs), the former FECARBOX lightweight titlist. Promising Milwaukee junior middleweight prospect Akeem Black (3-1, 1 KO) faces pro-debuting Derrick Clayton, fighting out of Bakersfield (CA), in the four-round televised opener. Wichita middleweight Jeff Sturm (1-0) meets cross-state rival Brian Clements (0-0-1), of Toledo, in the four-round TV swing bout. Also fighting on the under card is Washington D.C. heavyweight Maurice “Freight Train” Byarm (13-2-1, 9 KOs) battles 300-pound Kansas City (MO) foe Richard “Silverback” Carmack (15-12-1, 12 KOs) in a six-round match. A pair of four-rounders find undefeated Bakersfield junior welterweight prospect Miguel Contreras (5-0, 4 KOs) throwing-down with his Georgia opponent, Archie Wey (2-9), and California junior welterweight Chazz Macias is slated to make his pro debut against an opponent to be determined.